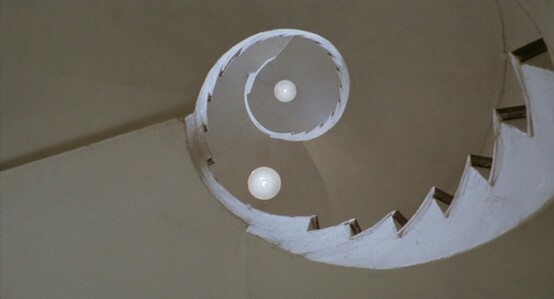 Michelangelo Antonioni | Ontological Architecture: The Poetics of Space. Ontological Architecture: The Poetics of Space. 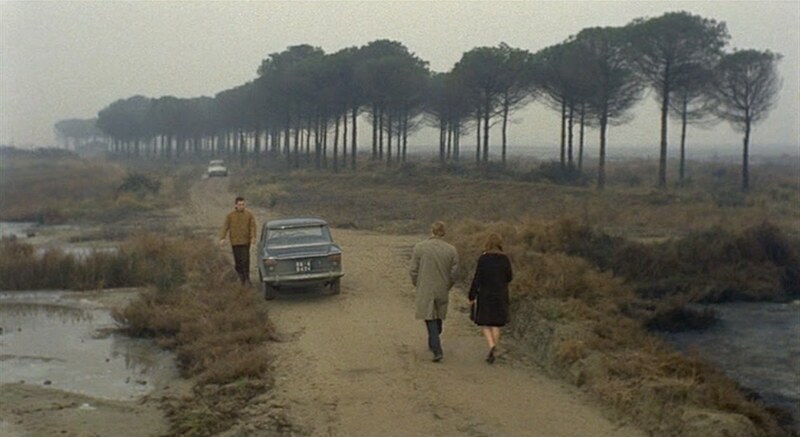 After seeing your films, one would never think that Antonioni had started in cinema as a documentarist. Was the experience of making documentaries helpful to you? Did it help to form your remarkable cinematic eye? Let’s leave these adjectives out of our discussion. They don’t do any good. Making documentaries was very helpful to me because I did not know whether I was capable of making films. In making documentaries, I understood that I would be able to go on to make films that were as good as anyone else’s. In reexamining your documentaries, one can see that already then you were telling stories. This is true in a certain sense. Without even realizing it, in People of the Po Valley I focused more on the family that lived on the barge than on the landscape. I must confess that I was completely taken with those people. Unfortunately, I could not complete the documentary. More than one thousand meters of film were destroyed, and the way the documentary was edited, in its present form, does not emphasize enough that subtle narrative trend that emerged during the filming. After a first experience that was in some way “neorealist ” – your documentaries and, later on, Attempted Suicide, your episode of Love in the City – you took riff in a different direction. Were you aware that you were entering into new territory? Nowadays is not only us critics who enthusiastically support your work, as it was at the times of L’avventura and La notte. A large part of the public has also shown its enthusiasm for your work since Blow-Up was released. How do you explain this change? Today, the public has matured and accepts certain themes and/or language without difficulty. As for myself, I would say that, instinctively, I might have found a way to make my films more – how can I say­ Americans would say exciting, more interesting, but that is not the right word. More precisely, I might have found a way to be less reserved in showing emotions and feelings. Perhaps I have been able to deal with a topic more deeply and even more skillfully. I do not really know. A film – I will never grow tired of repeating it – does not need to be “understood.” It is enough if the viewer “feels” it. To see a film must be an overall personal, intuitive experience, like when one reads a poem. Who would dream of being able to thoroughly explain a poem? Take The Passenger, for instance (I am sorry to keep returning to this film, but this is the film that everyone wants to talk about), or its last sequence, that long uninterrupted take. There is no need for the audience to understand it from a technical point of view; it is enough if they are sensitive to that slow flowing of things through the window, while the camera slowly moves onward. In The Passenger, however, technique is very important, even if this is not unusual in your films. I have always thought that scripts are dead pages. I have also written it. They are pages that presuppose a film, and without the film they have no reason to exist. They don’t even have literary value. The following sequence was not included in The Passenger for reasons of length. Therefore, there should be no reason to publish it. But I filmed it, and therefore it is a sequence that exists somewhere, inside a box at the bottom of some warehouse, and it exists in my memory and in the memory of whoever saw it screened – for example, of whoever edited it with me. 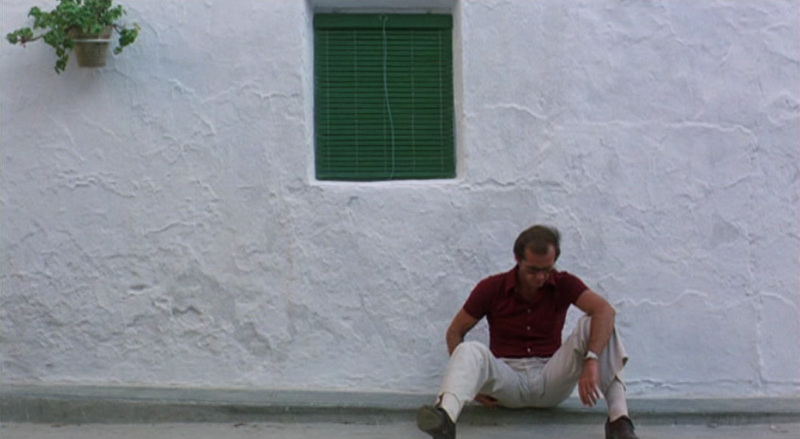 I confess that I liked this sequence, not just because it was splendidly acted by Jack Nicholson and the German actor, but also because, in supporting the theme of the film, it also gave quite an unreal dimension to the reporter’s character. Carried out on the ambiguous thread of memory – you know that memory offers no guarantees – this sequence opened for Locke, the journalist, with daydream moments he enjoyed exploring. The name of an unknown woman, Helga, brings unexpectedly to his mind the memory of a red bicycle. Helga and the bicycle never encountered one another, but the fascination of the game issues exactly from that. For a man like Locke, who has already given up his own identity to assume another’s, it cannot but be exciting to run after a third one. He doesn’t even need to wonder how it will end. What will your film be called? Zabriskie Point. It’s the name of a place in Death Valley, in the California desert. Blow-Up represents your English experience. Will the new film deal ‘with an analogous experience in the United States? Or aren’t places important to you? Places are important. 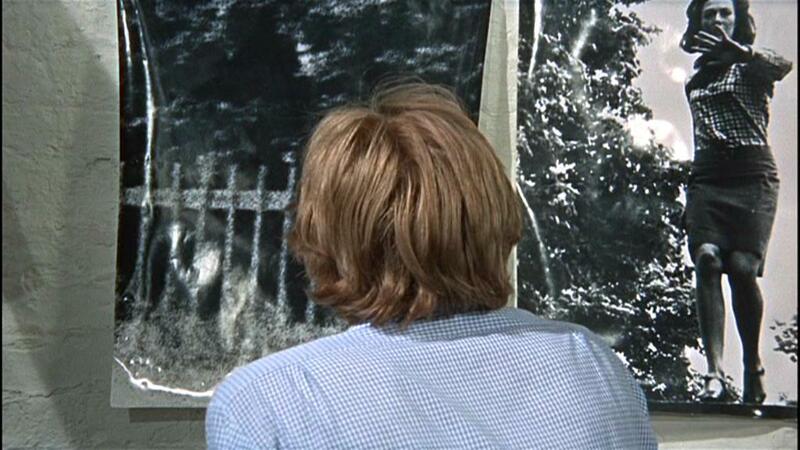 But Blow-Up’s story could have happened anywhere. Zabriskie Point, instead, is a film about America. America is the real protagonist of the film. The characters are just a pretext. Don’t you think that the themes of your past films (incommunicability, solitude, anguish, alienation and so forth) find their greatest confirmation in Anglo-Saxon society? That is, don’t you think that these themes are, after all, the real themes of the most advanced form of neo capitalism? Yes, that’s true. These themes have a clearer, more extreme, more profound resonance here in the United States. How does the revolt of young people (students, hippies, beatniks) fit into your usual world? I mean: until now you have shown us the middle-class grappling with its problems, but you have shown us them from within, you’ve accepted the values of the bourgeoisie itself. Students, young people, it seems to me, deliberately place themselves outside of the system; they try, as they say nowadays, to challenge it. Does this dissent interest you? Yes, it interests me; in fact, I have incorporated it into the film. It is very cold. I know it. I see it in the others. The ice would enter my bones if I let it pass through – that is, if I’d get distracted. But I have too much to do. Not that I have specific things to do. As a matter of fact, I am doing absolutely nothing – that is, whoever looks at me certainly thinks this. But it is not true. I am observing the forest, which, little by little, is becoming white. I also have other minor practical tasks, such as to ascertain that every job is done properly, to indicate the points of the underbrush and the still – green tops of the pines to the painters – they know that I do not want dark spots, but one always escapes notice. Painting a bush is simple; but the top of a forty-meter-tall pinion pine which looks, from the ground, like a small patch of green, becomes, for the painter who sees it from the ladder pushed far up in the tree, a tangle of branches that you cannot finish whitewashing. The man leans out as much as he can on the ladder, which twists frighteningly, and I hold my breath because that man is in danger for me, and even though it may appear so, I am not insensitive to these things. I considered refusing the Golden Lion at the Venice Film Festival, but I could not come up with a good enough reason. I would have refused it on instinct alone. I have received many awards, at almost all the film festivals – Cannes, Venice, and Berlin. The only place I have not yet won is Moscow, but that’s such a particular festival that I could do without. So, when I think of another Golden Lion added to the one I already have, it is already too much. I do not know how to say it – I mean, it puts me into a situation – that is, it gives me another responsibility in dealing with the past, and this is what bothers me. I do not want this responsibility. My films are what they are, I do not know if they deserve another Golden Lion or not, and I do not want to have to talk about it. This is how I feel about that prize. Then what made you accept it? I did it because it is very difficult to say no to Venice. It seems a bit presumptuous for me to say: “No, I do not need another award, I am already who I am.” After all, I guess it is OK to have another one. Maybe you don’t like these festivals because they show films that no longer satisfy you as they did when you filmed them, films that you have regrets about. Have you ever thought about that? Well, in my professional life I have regrets in the sense that when I see one of my films again I do not always like it. That is, I might not like the whole film, but rather just parts of it – certain sequences, or maybe its subject matter. I would not say that I am satisfied with the entire film. There has not been a film of mine that has completely satisfied me. To begin with, we want to ask a ‘very simple question, the same one that the child asks Niccolo in Identification of a Woman: “Why don’t you make science-fiction films?” Let us ask you the same thing. A question like that isn’t for you – it’s OK for a child like the one in the film! You know well that I haven’t been able to do everything that I wanted to do. I suggest ideas, but it is the producer and his distributor who make the decision. It’s very difficult today to make suggestions for films, especially for a science-fiction film; they immediately make comparisons with what the Americans are doing in this field, even though we don’t have access to the same resources as they do. It’s useless to try and compete with them; we have to do something different. In the end credits to Blade Runner; there were at least forty technicians. There aren’t that many in the whole of Italy! And even if there were, they would cost too much to hire. I thought your film was trying to be an answer to American science fiction films – an answer to E.T. and Blade Runner, a European ‘version of these things, dealing with everyday issues. Perhaps. What you say is interesting. Why did you think that? The character of Niccolo – the director seems very interested in everything that has to do with science. The telescope allows him to approach the farthest his human eye can reach. 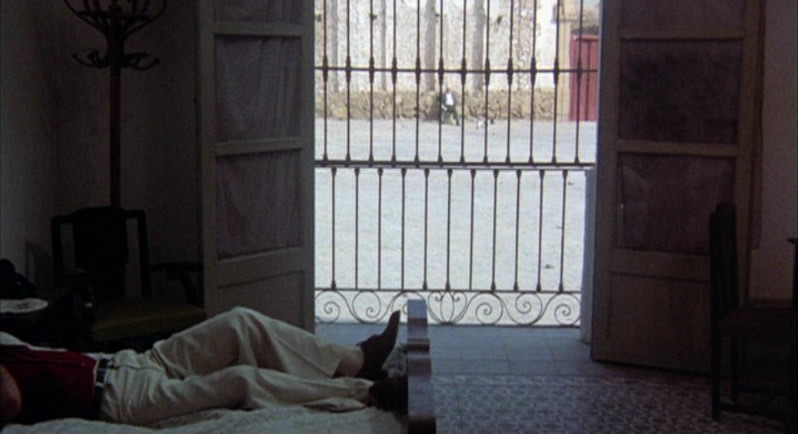 And then there is the issue that recurs throughout the film: the issue of otherness, be it a woman or other objects. Or perhaps the “other” is extraterrestrial?